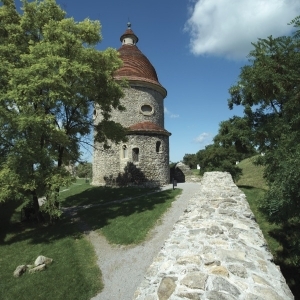 When the town Skalica is mentioned, almost everyone thinks of its oldest monument – the rotunda. 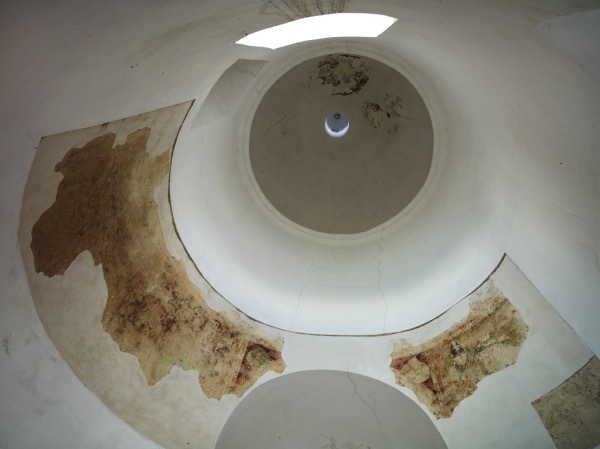 Few people know, however, that the rotunda had been built before the town Skalica was established. 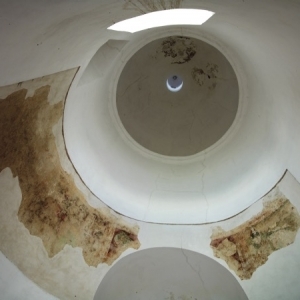 The rotunda is located on a small hill on the outskirts of the town. It is built in Romanesque style, but its exact date of origin remains unknown. 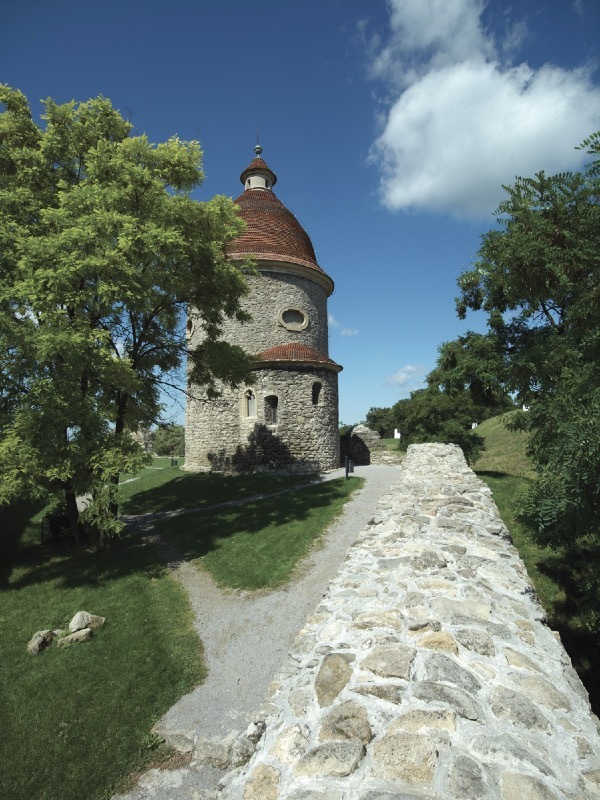 It follows the style of Czech and Moravian rotundas that, together with other historical circumstances, indicates that it could have been built at the end of 10th and beginning of 11th century on the site of a former Old Slavic hillfort. It was later rebuilt in Gothic and Baroque style. The upper part served as a defence tower and the lower part as a chapel/church. Until now, there are visible traces of the crenels in the upper part. Inside, fragments of Gothic wall paintings have been preserved, depicting the legend of St. George fighting the dragon. The rotunda got its current appearance in 1945. In 1970, it was declared a National Cultural Monument. That same year, a significant archaeological research took place here. In the past, it served as a proprietary church with a small graveyard. This prominent historical monument is open to the public – from 20 May to 17 September free of charge. It is also possible to visit it off-season for a small fee, but it is necessary to request the entry at the town information office. The rotunda is currently undergoing major reconstruction.